The National Law Journal is in the midst of collecting votes for their first annual “Best of The National Law Journal” reader’s rankings survey and Fastcase is honored to be among the nominees. Seeking the best vendors throughout the legal industry, the survey is open to all through March 31st, 2012. 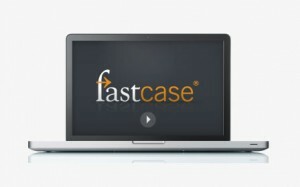 Whether you’ve made use of the Fastcase App for the iPad while away from your desk, purchased a subscription to cut costs in your firm, or taken advantage of one of our free bar association member benefits, we hope that Fastcase has provided the best legal research experience to all of our users. If Fastcase has made a difference for you, please take a few moments to complete the 2012 Best of NLJ Survey.